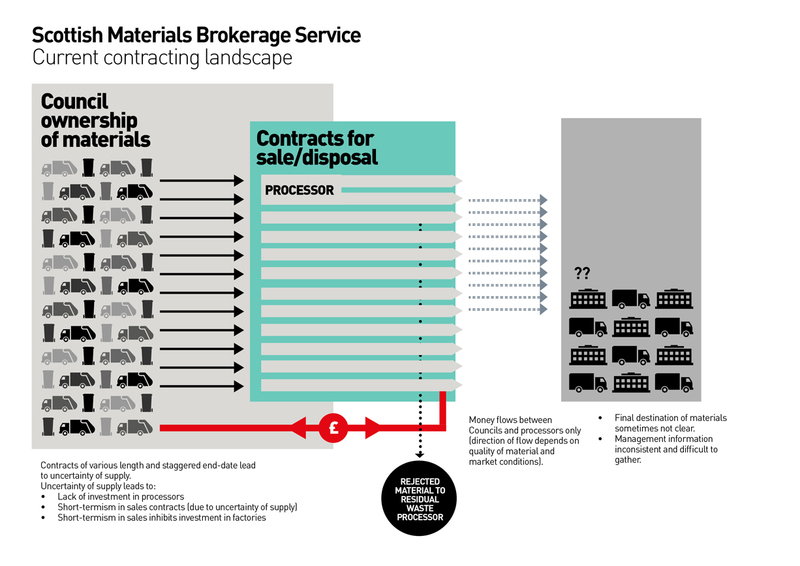 The Scottish Materials Brokerage Service is an important part of delivering Scotland’s zero waste policy goals and priorities around a circular economy, which will see valuable products and materials remain in useful circulation for longer, creating and sustaining jobs. Former Environment Secretary Richard Lochhead announced the creation of the service in October 2014 as a one-stop-shop for growing Scotland’s reprocessing sector, helping local authorities and the public sector get a better deal for the recycled materials collected in their communities. 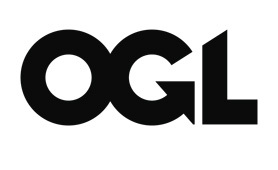 The brokerage service is sponsored by the Scottish Government and is a partnership between Scottish local authorities, Zero Waste Scotland and Scottish Procurement. It has established a project team which pools expertise from Scottish Procurement and Zero Waste Scotland, along with Scottish local authorities and the wider public sector. The market for materials collected as waste by Scottish local authorities and other public bodies is fragmented. This does not provide best value to our local authorities or to Scotland more widely and much of this waste material is taken overseas to be processed. 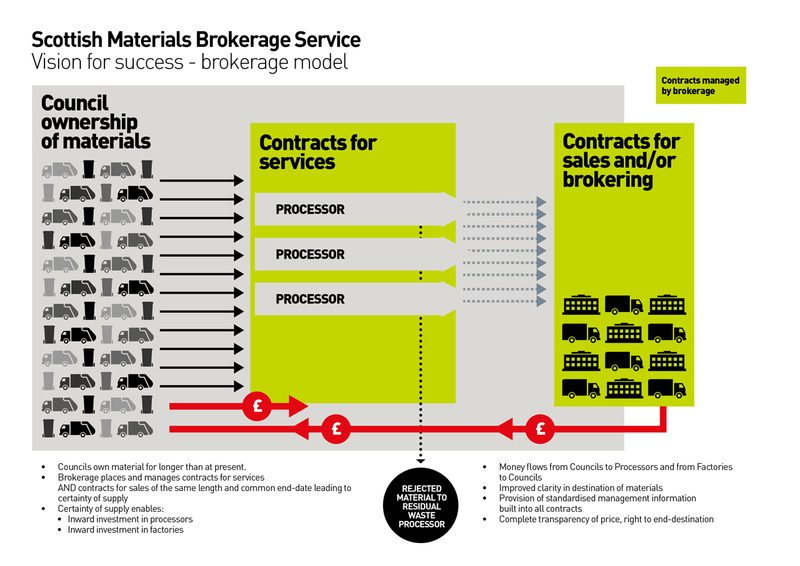 The brokerage service will address these issues by matching up the supply and demand for high value recycling, which will provide certainty of supply for those who wish to invest in Scottish reprocessing plants, and certainty of demand for local authorities. Creating the right conditions to grow the reprocessing sector will allow valuable materials to be retained in Scotland and provide the opportunity to create jobs. Potential to develop new commercial solutions. Procurements for these three streams will be developed in parallel. A highly collaborative approach is being taken, with each procurement being shaped by a User Intelligence Group (UIG). Through the procurement process, the project team will engage with potential users of the service and the wider resources industry. In addition, support will be provided to businesses and investors to take advantage of the opportunities presented by the brokerage programme. Bidding for public sector work can prove to be a challenge for firms, particularly when several public bodies wish to buy under the same arrangement. Many firms find that bidding in collaboration with others improves their chances of winning. Co-operative Development Scotland (CDS) has announced it will invest £200,000 over the next three years into developing collaboration services for businesses. The funds will help augment its existing Consortium development services, which offer consultancy to help businesses develop their collaborative proposition, by adding additional specialist resources for strategically important ventures. Waste management companies and reprocessors should contact SMBS@gov.scot for information on the contracts to be procured, and Robin Thompson robin.thompson@zerowastescotland.org.uk for support in capitalising on the opportunities presented by the brokerage.